VERONA, ITALY—Juventus fans witnessed an unusual sight on Saturday as Cristiano Ronaldo failed to score for their team. 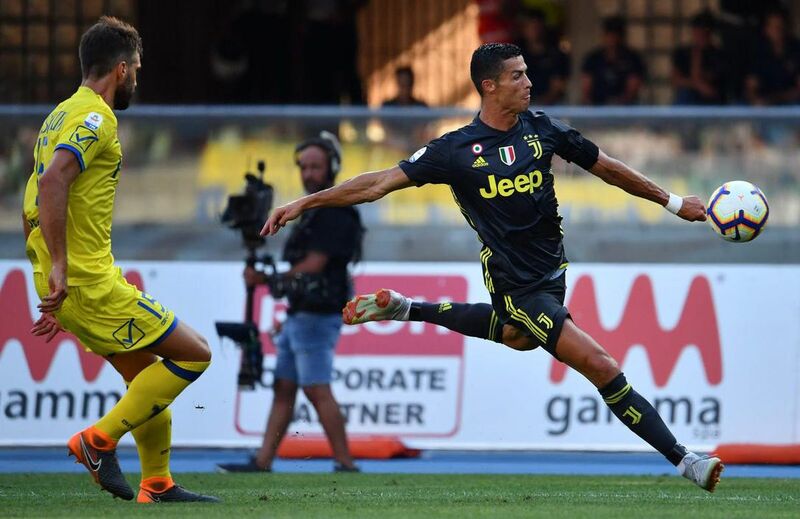 The Portugal forward made his Serie A soccer debut and Juventus fought back to win 3-2 at Chievo Verona in the opening match of its title defence. Ronaldo had scored in both pre-season friendlies he played for Juventus, but could not find the back of the net in his competitive debut. There were encouraging signs for Juventus, though. Ronaldo and Douglas Costa linked up well, notably in the 18th minute when Ronaldo’s effort went just the wrong side of the left post. Ronaldo also fired narrowly over from a tight angle on the half-hour. At 2-2, Ronaldo almost scored the winner, but Stefano Sorrentino got down smartly to knock away his free kick. Federico Bernardeschi netted the winner for Juventus in stoppage time. Ronaldo stunned the soccer world when he moved from Real Madrid to Juventus in July in a Serie A-record $ 131.5 million U.S. deal. The excitement had been building in Verona since the fixtures were announced. The match at Stadio Bentegodi was sold out and there were long queues to get in more than three hours before kickoff. The team bus carrying Ronaldo and his Juventus teammates was greeted by huge cheers, with fans crowding onto the balconies of the stadium. Ronaldo warmed up with crowd-pleasing ball tricks and Juventus fans cheered his every touch.